Get the complete list of Followers & Following Data as well as 3200 tweets of any Twitter account in CSV/Excel along with a comprehensive analytics PDF. Our easy-to-read analytics PDF comes loaded with lots of useful analytics which are extracted from raw followers-following and tweets data. Some of the analytics are Followers language analysis, Most active and popular followers, Followers' account age and activeness etc. Export any public Twitter user’s recent 3200 tweets in a CSV/Excel data sheet and analyze it with the help of FollowersAnalysis’ advanced AI-based analytical tool. 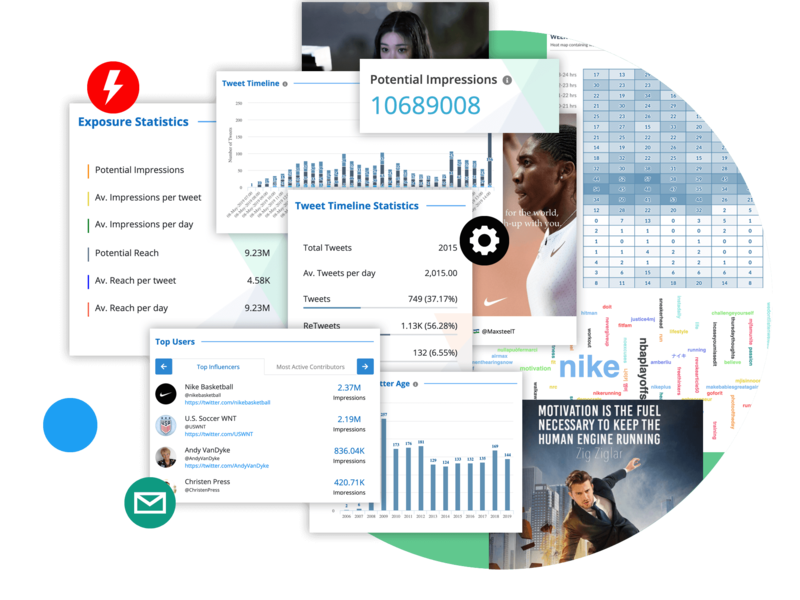 Our tool analyzes the raw Tweet data of a Twitter account and provides various useful insights like the best time to tweet, Most mentioned keywords, Most retweeted, liked tweets and Week-Day Peak Usage Pattern etc. 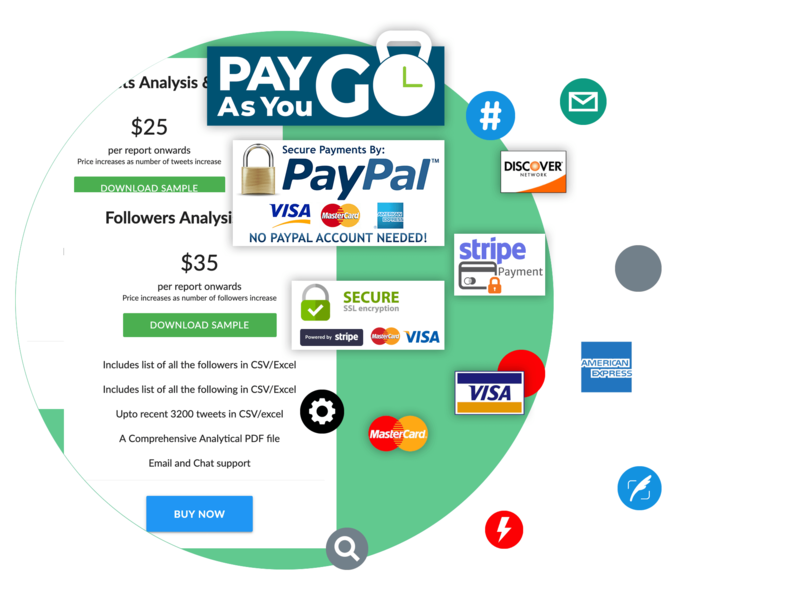 Expanding Globally With Over 43,000+ Sign-ups, 14000+ Satisfied Customers And 34000+ Analyzed Twitter Accounts. Export more than 3200 tweets of any public Twitter account with Tweet content, URLS and more. Get full list of all the followers of any Twitter account along with lots of useful meta data. Get millions of followers data of a Twitter account in a single file or multiple CSV/excel files. 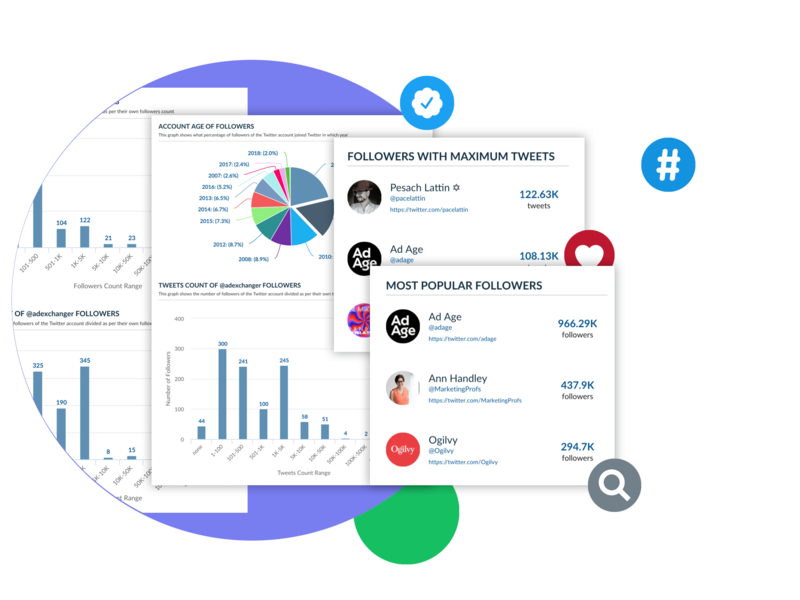 Analyze Twitter users and their followers with the help of our AI-based tool. We provide detailed analysis of Twitter accounts to help you in Research and Analysis. Know most retweeted and liked tweets of an account. We believe in complete transparency and therefore charge only for what you purchase. Know what is the best time for a user to post their tweets on Twitter. The best time is the time when the users get maximum exposure and retweets on their tweets. It is calculated based on retweets gained by the tweets which were tweeted in a particular time period. The devices which are used to post the tweets are client sources. They are Twitter web client, Twitter for iPhone, TweetDeck and many more. Client source graph shows the type of devices used by the Twitter account to post the tweets and frequency of their usage. By knowing what kinds of keywords, hashtags and mentions the Twitter user is using, we can assess the pattern and nature of the Twitter users for Tweeting. We can get to know the key focus area of the Twitter user. Know the most popular, most impactful, most active, followers with maximum likes and followers with maximum lists. This information helps in finding out the key influencers of the industry. Similar analytics can be extracted for following data too. Word cloud of Bios gives you brief idea on the pattern and similarity in profiles the followers or following of the Twitter user. It also indicates the domain of the profile of the Twitter user. Export large volume of raw twitter data in excel (csv) format. Download PDF containing various useful analytics and insights from raw Twitter data. Find out the Followers and Following which are most impactful and influential. Languages used by the Twitter accounts of Followers and Following. Predict best time to tweet, best hashtag to use etc. with the help of existing raw Twitter data. Get Customized reports, customized tools and filtered data to fulfill your needs and requirements. Get email notifications at every event happening in your FollowersAnalysis account. Get detailed timeline of all the tweets as well as their daily and weekly pattern.